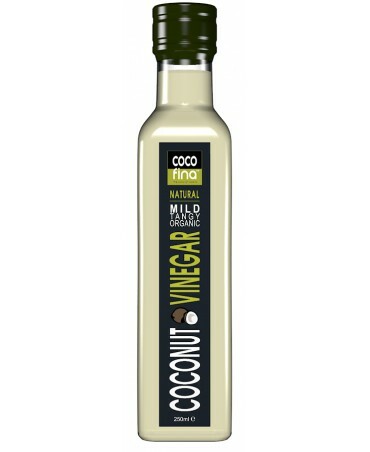 Made from organic coconut water, this natural vinegar is tasty, healthy and full of amino acids and minerals, that help the body to absorb nutrients. 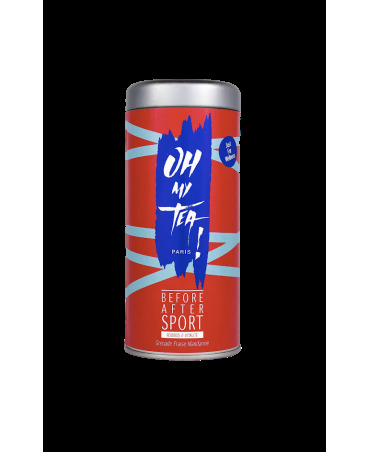 The "BEFORE AFTER SPORT" tea is 100% organic. 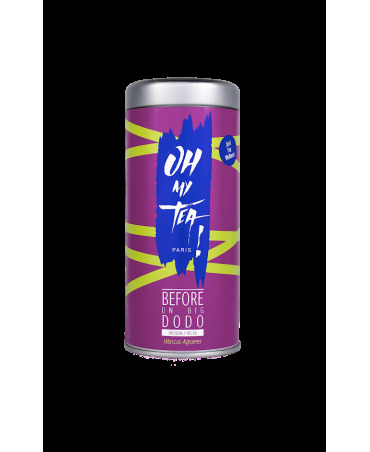 Flavored with citrus, pomegranate and strawberry, this tea is a revitalizing drink that will give you strength and good health. 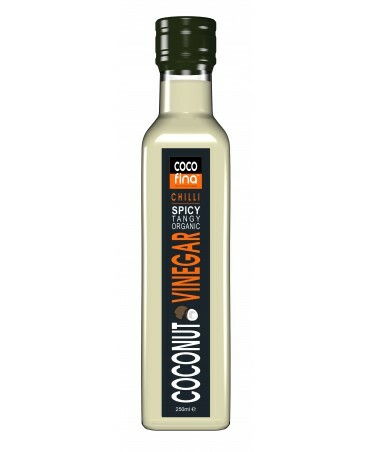 Made from organic coconut water, this natural vinegar is tasty, healthy and full of amino acids and minerals, that help the body to absorb nutrients. 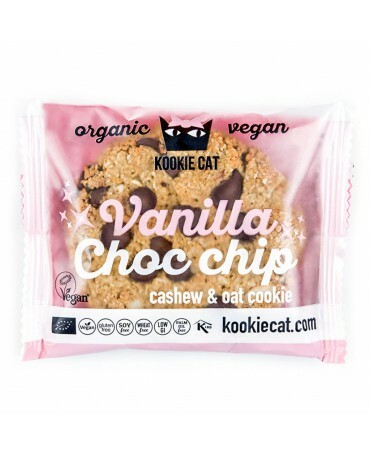 Perfect for spice lovers! The "BEFORE SICKNESS" tea is 100% organic. Enriched with anti-inflammatory vitamins, this green tea is made from elderberry juice. Ideal to fight bacteria, it helps to boost your immune system. 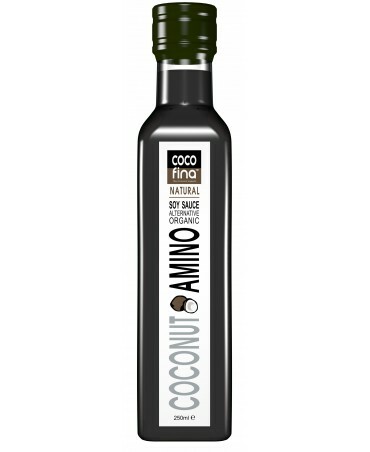 The coconut aminos is similar to a light soy sauce but without soy or gluten! 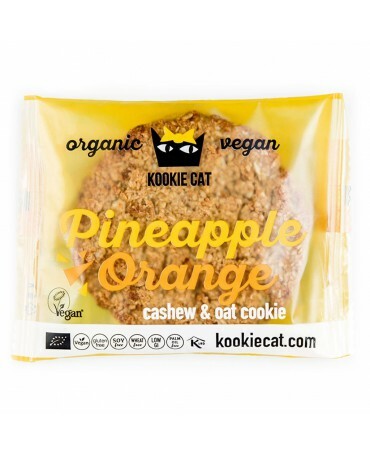 Made from coconut sap, it's rich in minerals, vitamins C and B. It will add a delicious taste to all of your dishes. The "BEFORE THE BIKINI" tea is 100% organic. 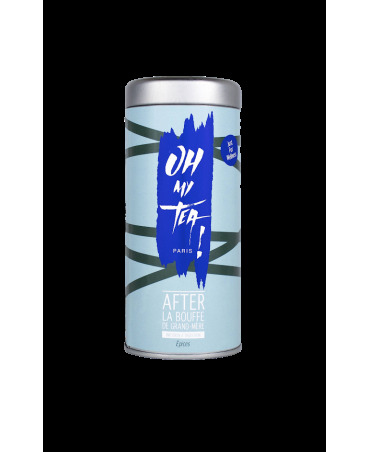 Enriched with dandelion, this green and mate tea helps to eliminate toxins. Ideal to help prepare for sunny days at the beach thanks to its diuretic properties. 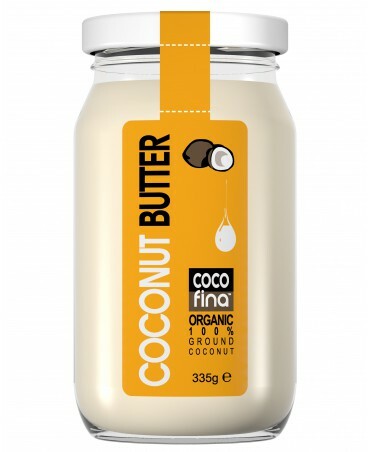 This organic coconut butter is a great spread rich in fibre. 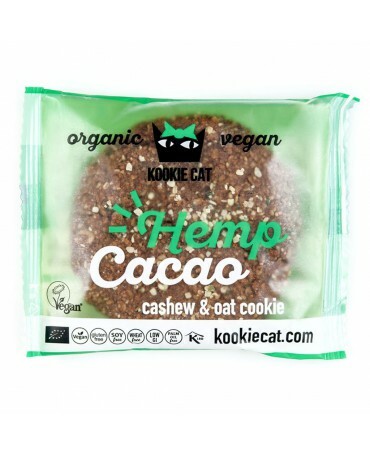 Its the perfect ingredient to use for your cooking and baking! 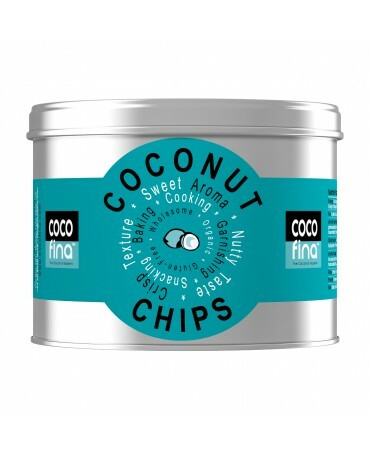 Creamy coco-nutty flavor! 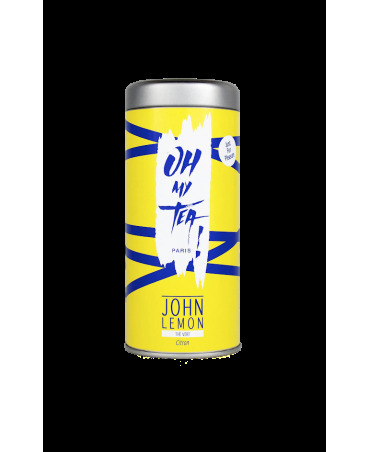 The "JOHN LEMON" tea is 100% organic. This mint and lemon flavored green tea has very little caffeine but still gives an instant boost. This tin of organic flour is the perfect alternative for regular flour. 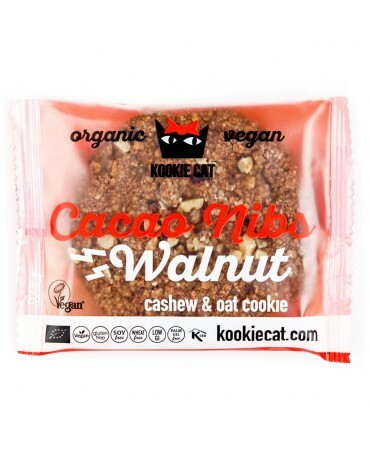 Its taste and light texture are ideal for cooking or baking. The "AFTER DINNER AT GRANDMAS" tea is 100% organic. With mint, fennel and cloves, this tea helps with digestion and fights bloating. This miracle drink flavored with cinnamon, cardamom, mint and cloves, is the ideal beverage after eating a big meal. 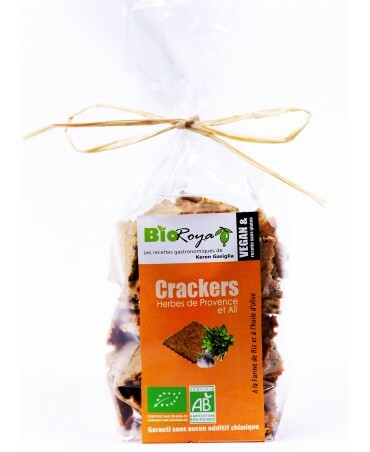 Certified organic, these herbes de Provence and garlic, gluten-free crackers are made with rice flour and extra virgin olive oil. 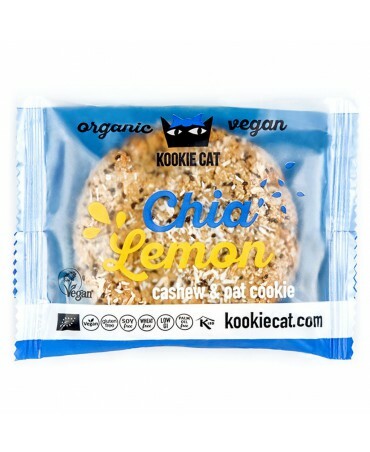 Delicious, rich and crunchy, these crackers are ideal to have at whatever time, alone or to share. 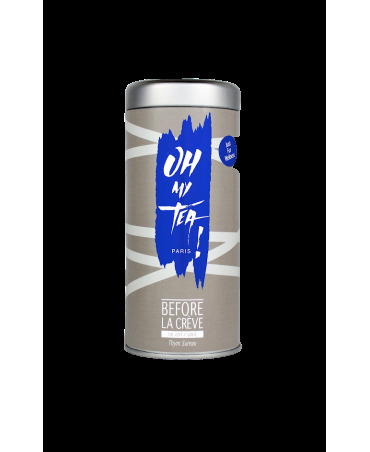 The "BEFORE A BIG SLEEP" tea is 100% organic. Citrus and hibiscus flavored, this relaxing tea is perfect for a peaceful nights sleep.